Welcome to Episode 3 of The Great Cut documentary series. Things are moving fast with less than 10 months to go. How is your hair growing? Are you considering joining us? If you’re thinking about it, what would get you all in? Remember, the minimum hair donation is eight inches. Most people’s hair grows about a half inch per month, meaning you still have another five inches of growth from now until game day. Even if you won’t be able to donate your hair, you’re still invited to the party. Could you bring someone who can donate? Think on that, and head back over to The Great Cut page after finishing here. In April we had the opportunity to attend America’s Beauty Show in Chicago, the biggest hair, nail and makeup show in the midwest. 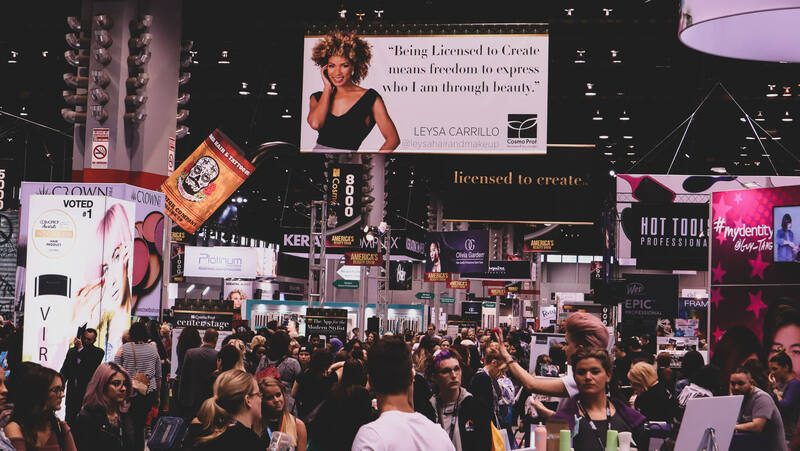 With 30,000 hair industry professionals from hair care brands, manufacturers and distributors to salon owners, stylists and barbers, it’s a show for everyone in the hair business. And we are in the hair business, baby. This was our first dive into the industry at large. But what did we hope to accomplish there? 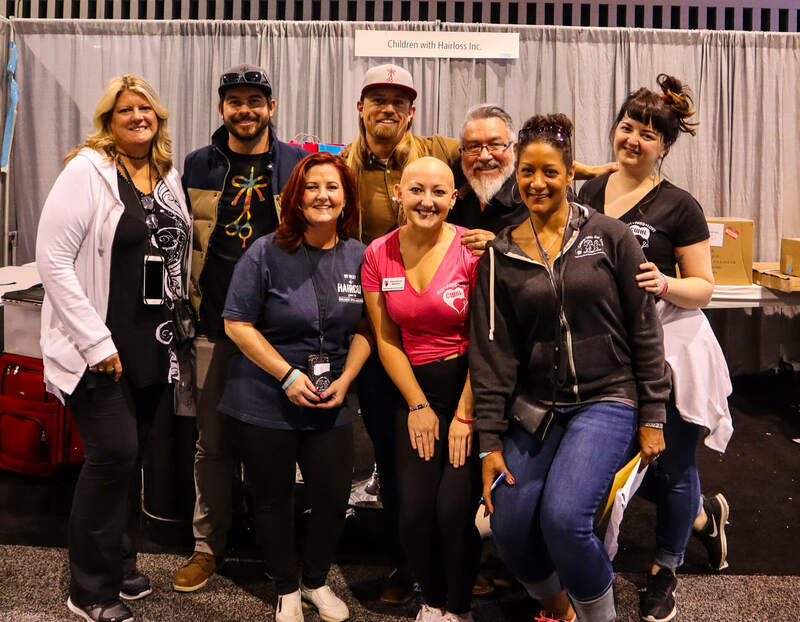 Our show objectives were to recruit donors and volunteer hair professionals for The Great Cut, boost our charity partner's mission, make connections in the industry and of course sell some Hair Ties For Guys™. It would have cost thousands of dollars to have a booth and then have no idea what we were doing, but Children With Hair Loss invited us to join in their booth. Having attended the show for 10+ years they knew all the ropes and coached us up for show time. We met thousands of people. 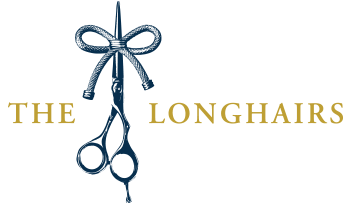 There was tons of interest in The Great Cut, with almost every hair professional we told about it expressing interested in volunteering. As expected, our products were met well by the industry. Believe it or not this was the first time we’d ever sold our hair ties in person. This was an excellent exercise, where we found most people who came into our booth loved our products and ended up buying. By far the highlight was spending the weekend with the Children With Hair Loss Team, led by Executive Director Christine Wong and joined by staff and volunteers. Not only do these folks care deeply about their organization and the children they help, but they are fun, fantastic people who welcomed The Longhairs with open arms. Finally, we got to spend time with CWHL Ambassador Mikayla Marcero, the first recipient of a hair replacement system after being diagnosed with alopecia at age seven. Proudly rocking an artful “bald is beautiful” tattoo on her scalp, she shared her story with us in a sit-down with El Moreno, featured in the episode. 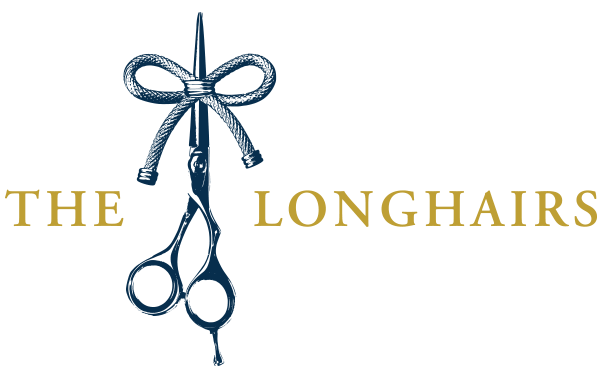 We are immensely grateful to be partners and friends with such a fine organization and the great people involved with it, and you’ll get to meet them yourself at The Great Cut. Hear Mikayla’s story, see what went down in Chicago and hit ‘em with the hard C’YA. On 3/16/19 we will attempt to break the Guinness World Record for the largest hair donation in history. We’re going to need every man, woman, girl and boy. Change a child’s life and be part of history: join us in San Diego for The Great Cut, a hair-whipping, karate-kicking, record-breaking charity event. So pumped for this !!! to the volunteers stylists: the great cut of the longhairs is not a go to very short hair or shave a ton !!! This young lady is like a wireless battery charger. How can you be in her presence and not have your own spirit charged? How can you look upon her gorgeous smile and not be relieved of all your cares? She is awesome and an excellent role model to all the kids involved with Children With Hair Loss. I tell everyone I meet that has long hair about Children with hair loss and donating. My niece is a teacher that worked with the founders daughter….